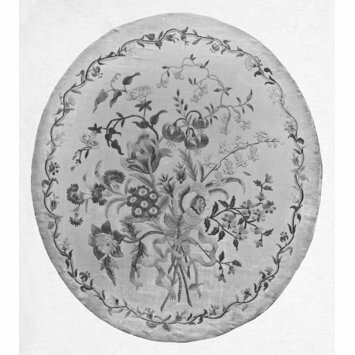 Oval embroidery worked in satin stitch with silk thread on a white satin ground. Depicts a bunch of flowers (roses, carnations, convolvulus, tulips, etc.) in natural colours, with a delicate stem border surrounding. Registered File number 1929/6929. Worked by the grandmother of the donor. 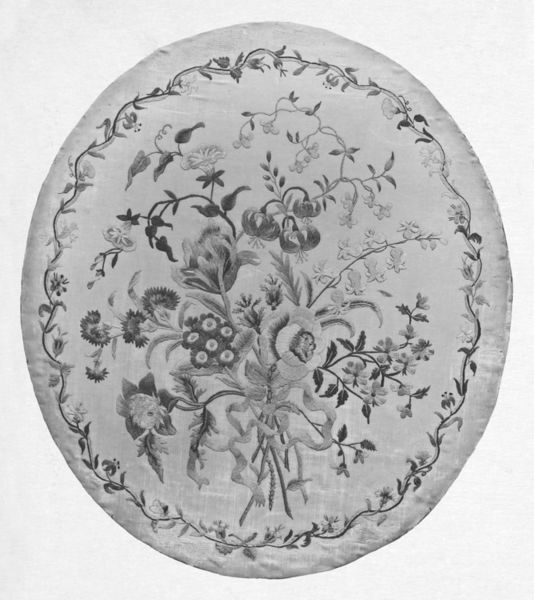 Embroidery depicting a bunch of flowers in silk on satin, worked in satin stitch; England, 1792.